Marina Blue offers the best excursions in La Cote des Arcadins. From Boat excursions to Land excursions. All our guides are professionals and trained to offer you the best service possible. We also claim to be the safest tour provider in the region. All our staff is CPR and EFR emergency responders. ALL INCLUSIVE TOUR! 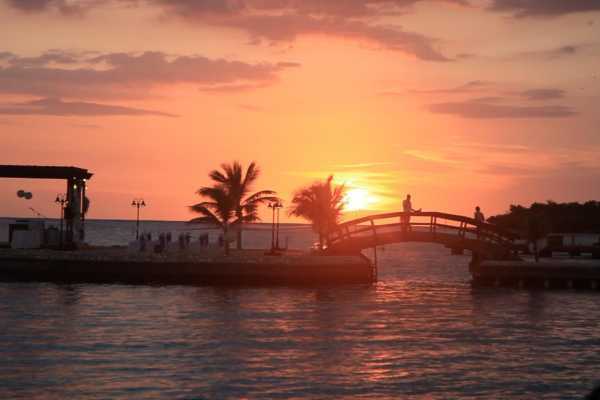 Enjoy a all-inclusive half-day excursion in the azure waters of La Gonave Island. Discover a wonderful sandbar in the ocean, protected by beautiful corals populated by fish. After a brief visit of the fishing port of Anse a Galets, the boat will anchor in the middle of the water(on sandbar) where you can relax, swim and dive. Your tour will begin at Marina Blue, where you will meet your captain, your guides, and board the boat at Marina Blue's dock to begin the tour. 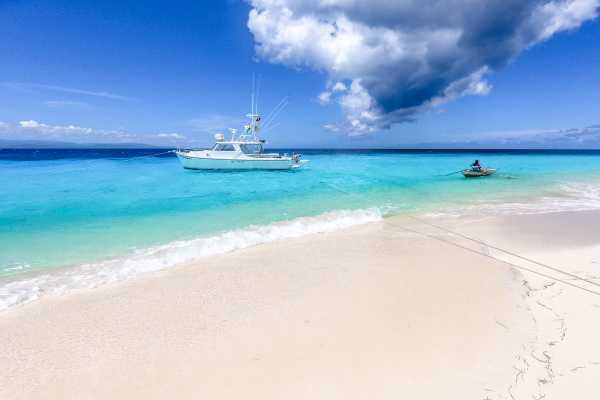 From there, a brief guided tour of the fishing port of Anse a Galets, then you will be taken for a guided snorkelling excursion in the crystal clear waters of Anse a Galets, where you will see star fish, sand dollars, other coral fish! After the boat, a 26 footer, will anchor in the middle of the water, on the sandbanks right in front of the largest port of La Gonave. There you can relax, swim and do a little more snorkeling. On board, you will have access to the open bar that hosts natural rum punch, beer, soft drinks and water, which can also be served in the water. You can also snack on free sandwiches and fry plantains. Volleyballs, flotation devices and towels will also be provided for your convenience. Once the tour is over, you will be taken back to Marina Blue. Once you arrive, your equipment will be collected at the dock and rinse if you brought your own, then check with the staff. From there, the day is yours, if you want to stay on the beach for the rest of the day, we can provide you Marina Blue bracelets that will allow you to stay on the beach, where you can enjoy a lunch or a drink at Moulin Sur Mer Beach Resort or Cafe Sur Mer with other divers (extra charge). NB: You are allowed to bring your own drinks but it is not necessary since drinks, such as Beers and Rhum Punch are already included in the activity. Maximum allowance is 2 bottles per group of people. ALL INCLUSIVE TOUR !! A 4 hour trip to the blue waters and the beautiful beaches of Arcadins, a national park in Haiti, where you can snorkel around its beautiful reefs. The tour includes rhum punch, cold beers, soft drinks, water, sandwiches, and fry plantain chips. Without a doubt, one of the best places to go snorkeling in Haiti! Experience an all-inclusive half-day excursion in the azure blue waters in front of one of the largest islands in the Arcadines. Discover a wonderful fish populated with corals. The boat will anchor beside the shore where people can relax, swim, and snorkel. Your day will begin in the morning where you'll meet your guides at the Marina Blue Wharf and board the boat for the visit. The boat, a 26 footer, will be anchored next to the Arcadins Islands. There you can relax, swim, and snorkel. Your guide will take you on a guided snorkelling tour where you will see star fish, sand dollars, other coral fish, and a great chance to see the dolphins. On board, guests will have access to the open bar that hosts rhum punch, beer, soft drinks, and water. You can also snack on free sandwiches and fry plantains. Volleyballs, flotation devices and towels will also be provided for your convenience. Enjoy a spectacular half-day all inclusive guided tour in the crystal clear waters of the Arcadin Islands! NB: People are allowed to bring their own drinks but it is not necessary since drinks, such as Beers and Rhum Punch are already included in the activity. Maximum allowance is 2 bottles per group of people. ALL INCLUSIVE TOUR! 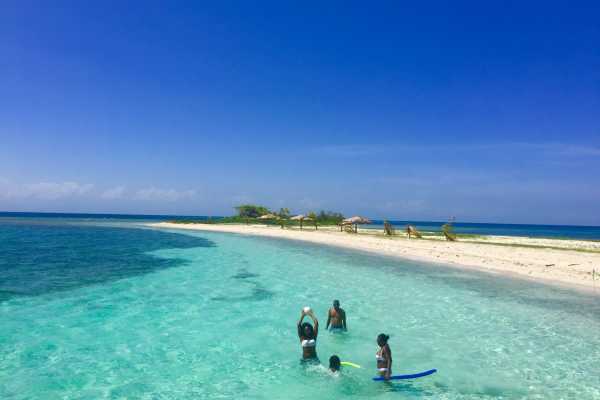 Enjoy a 5-hour all-inclusive trip to the azure waters located on the other side of La Gonave Island, one of Haiti's most beautiful beaches. After stop in the southert east tip of La Gonave (Ti Gonave), the boat drops anchor in a secluded beach where people can relax, swim, and snorkel. Your day will begin in the morning at Marina Blue, where you'll meet your Captain and guide. Then board the boat at the Marina Blue Wharf to begin the tour. Once arrived you can relax, swim, and snorkel. If you wish your guide will take you to a guided snorkel tour where you will see star fish, sand dollars, other coral fish and a great chance to see the dolphins. On board, guests have access to the open bar that hosts rhum punch, beers, soft drinks and water. You can also snack on free sandwiches and fry plantains. Volleyballs, flotation devices and towels will also be provided for your convenience. Once the tour is over, you will be taken back to Marina Blue, with the option of spending the rest of the day at the beach or you can enjoy lunch or have a drink at the Moulin Sur Mer Beach Resort or Cafe Sur Mer (additional costs). Enjoy a spectacular half-day excursion in the crystal clear waters of Anse a Raisin! NB: People are allowed to bring their own drinks but it is not necessary since drinks, such as Beers and Rhum Punch are already included in the activity. Maximum allowance is 2 bottles per group of people. Enjoy a two hour Coastal Cruise on the Côte des Arcadins aboard a 26-footer boat in the blue waters of Haiti. On board, enjoy local punch, local beer and soft drinks (2 glasses per person). Dance on island tunes, admire the reefs and cliffs of the coast, keeping an eye out for dolphins and other marine life. The cruise departs from Marina Blue at 3pm and returns before sunset. Enjoy breathtaking views along the "Côte des Arcadins", including cliffs, magnificent barrier reefs, spectacular coastline and the opportunity to spot wildlife such as dolphins, whales and others. The cruise includes 2 drinks per person (Rum Punch, national beer, soft drink), and service. Enjoy great music while cruising and feeling the Caribbean breeze! NB: People are allowed to bring their own drinks but it is not necessary since drinks, such as Beers and Rhum Punch are already included in the activity. Maximum allowance is 2 bottles per group of people. Take the road of the rails to visit the village of Montrouis and discover an old factory dating back to colonial times, a port hosting loads of salt and source Cadenette, a voodoo site. 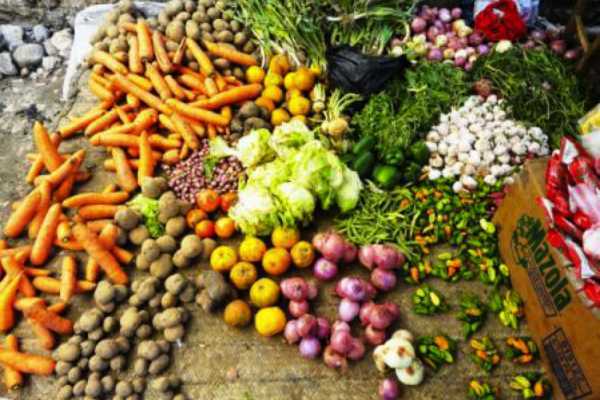 The exploration continues with the visit of the market, the heart of the city. A unique opportunity to live a traditional negotiation with the Haitian merchant. Along the way, your guide will identify different trees, crops and exotic flowers. He will deliver the secrets of traditional herbal medicine. 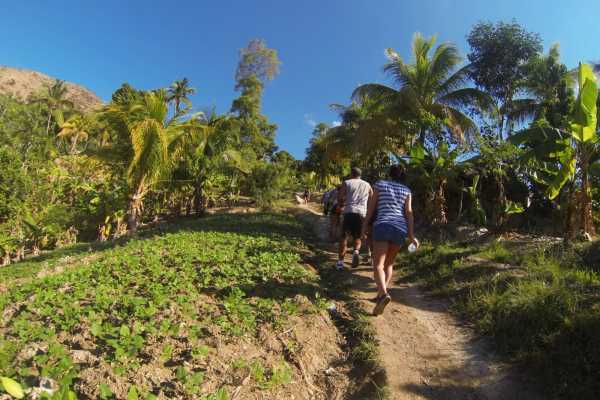 A perfect excursion to admire an authentic image of Haitian life. * The activity is subject to a minimum of 3-4 participants. In case there is not a minimum to organize the activity, the reservation will be canceled without charge. * If the tour is not available and you have a minimum of 3-4 excursionists, please inquire for the reservation. Located in the enclosure of an 18th century sugar plantation, the Ogier-Fombrun Museum tells the story of Haiti dating from the pre-Columbian period to the revolutionary period, when Haiti became the first black republic in the world. The museum is thus a place of memory in tribute to the struggle of the Haitian people for the abolition of slavery and for its independence. Enjoy a visit to the recently renovated Ogier-Fombrun Museum, which houses an extensive collection of authentic artifacts and works of art revealing the treasures of Haiti's history. 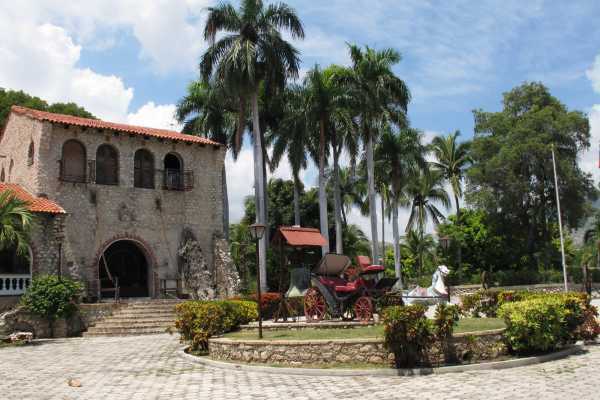 The Ogier-Fombrun museum will welcome you with stories dating from the pre-Columbian Indian era to the colonial era of 1794, while Haiti was the largest sugar producer in the Caribbean. The property is an authentic sugarcane plantation whose ruins have been totally recovered by the work of architect Gérard Fombrun for more than 35 years of personal involvement. The authentic stone aqueduct that still exists, continues to run water to a gigantic 20-foot wooden wheel that was used to extract the juice of the cane. 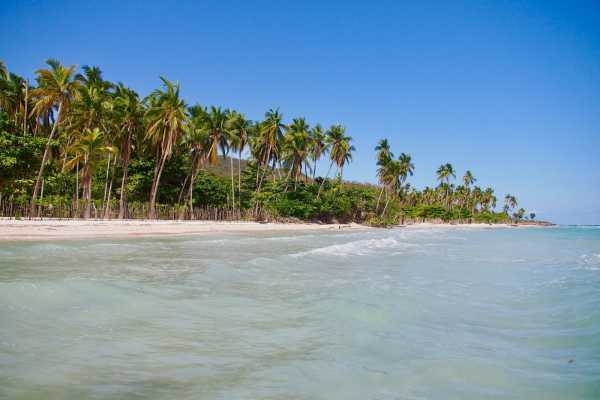 Enjoy an all-inclusive day trip to the sublime beach of Petit Goave in the azure waters of Kokoye Beach in the southern part of Haiti. Your excursion will begin at Marina Blue, where you will meet your Captain and guide and embark the boat on the Marina dock to begin the visit. From there, you will be taken to Kokoye Beach. The trip will take about 1.5 hours. 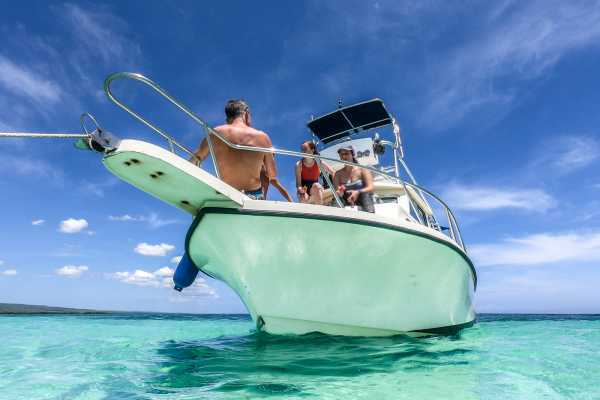 Once arrived, the boat will anchor in the nearby area of ​​Kokoye Beach, where you can relax, swim, and snorkel. Our local partners will arrange and set up a picnic table on the beach where you will be served with delicious local food and fresh coconuts. On board, guests will have access to the open bar that hosts rhum punch, beer, soft drinks, and water. You can also snack on free sandwiches, special dishes of the day and fry plantain. Volleyballs, flotation devices and towels will also be provided for your convenience. 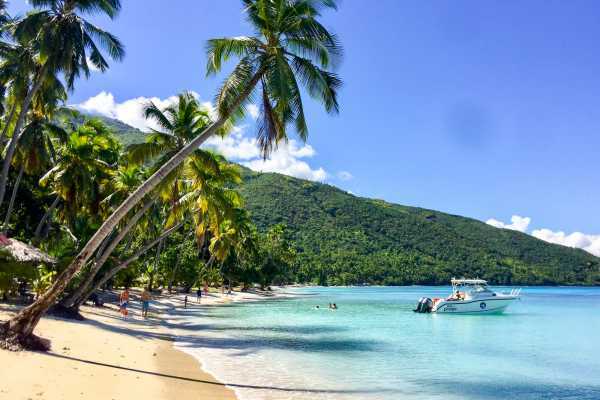 After our stay in Kokoye Beach, if weather permits and the timing is good, we will make another stop on one of the isolated beaches of La Gonâve. Once the tour is over, you will be taken back to Marina Blue. From there, the day is yours, if you want to stay on the beach for the rest of the day, we can provide you Marina Blue bracelets that will allow you to stay on the beach, where you can enjoy lunch or a drink at Moulin Sur Mer Beach Resort or Cafe Sur Mer with other divers (additional cost). NB: People are allowed to bring their own drinks but it is not necessary since drinks, such as Beers and Rhum Punch are already included in the activity. Maximum allowance is 2 bottles per group of people. ALL INCLUSIVE TOUR !! A 4 hour trip to the blue waters and the beautiful beaches of the southern area of La Gonave where you can enjoy a bath in its beautiful beaches. The tour includes rhum punch, cold beers, soft drinks, water, sandwiches, and fry plantain chips. Without a doubt, one of the best places to go snorkeling in Haiti! Experience an all-inclusive half-day excursion in the azure blue waters in front of one of the largest beaches in La Gonave. The boat will anchor beside the shore where people can relax, swim, and snorkel. Your day will begin in the morning where you'll meet your guides at the Marina Blue Wharf and board the boat for the visit. The boat, a 26 footer, will be anchored next the shore. There you can relax, swim, and snorkel. On board, guests will have access to the open bar that hosts natural fruit punch, rhum punch, beer, soft drinks, and water. You can also snack on free sandwiches and fry plantains. Volleyballs, flotation devices and towels will also be provided for your convenience. 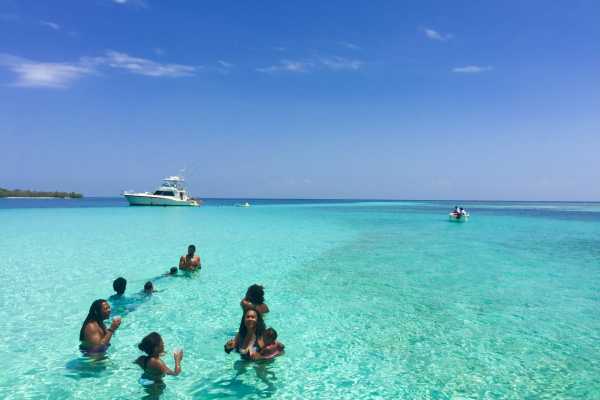 Enjoy a spectacular half-day all inclusive guided tour in the crystal clear waters of Grand Baie! NB: People are allowed to bring their own drinks but it is not necessary since drinks, such as Beers and Rhum Punch are already included in the activity. Maximum allowance is 2 bottles per group of people. ALL INCLUSIVE TOUR! 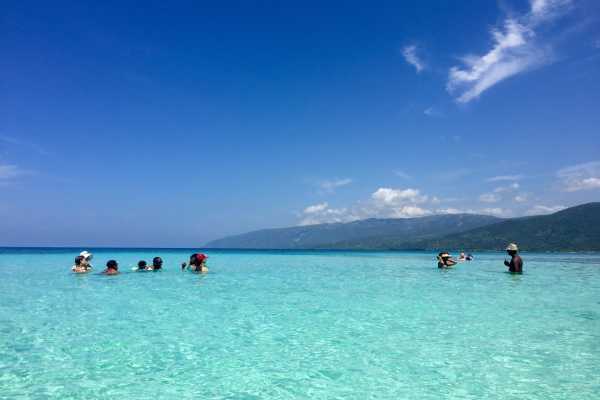 Enjoy a all-inclusive half-day excursion in the azure waters of La Gonave Island. Discover a wonderful sandbar in the ocean, protected by beautiful corals populated by fish. The boat will anchor in the middle of the water(on sandbar 3 feet deep only) where you can relax, swim and dive. Your tour will begin at Marina Blue, where you will meet your captain, your guides, and board the boat at Marina Blue's dock to begin the tour. From there the boat will head to Etroits, a sand bank close to La Gonave Island. then you will be taken for a guided snorkelling excursion in the crystal clear waters of Etroits, where you will see star fish, sand dollars, other coral fish! From there you can relax, swim and do a little more snorkeling. On board, you will have access to the open bar that hosts rum punch, beer, soft drinks and water, which can also be served in the water. You can also snack on free sandwiches and fry plantains. Volleyballs, flotation devices and towels will also be provided for your convenience. Once the tour is over, you will be taken back to Marina Blue. Once you arrive, your equipment will be collected at the dock and rinse if you brought your own, then check with the staff. From there, the day is yours, if you want to stay on the beach for the rest of the day, we can provide you Marina Blue bracelets that will allow you to stay on the beach, where you can enjoy a lunch or a drink at Moulin Sur Mer Beach Resort or Cafe Sur Mer with other divers (extra charge). NB: You are allowed to bring your own drinks but it is not necessary since drinks, such as Beers and Rhum Punch are already included in the activity. Maximum allowance is 2 bottles per group of people. Some of our excursions offer discounts for groups of 10 people or more, write us an email and inquire for your group discount code.